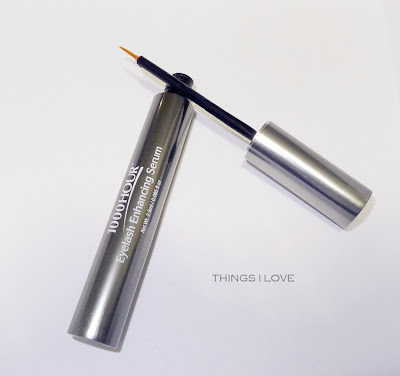 For those of us who are not naturally blessed with luscious thick and long lashes, we go to great lengths to gain fluttery looking eye, whether it be done by piling on copious coats of mascaras or going down the path of false lashes or lash extensions. 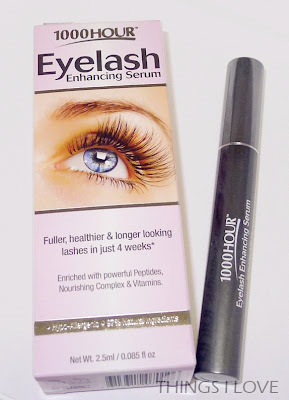 There is also a growing market out there for eye lash serums that promises to promote lash growth naturally. 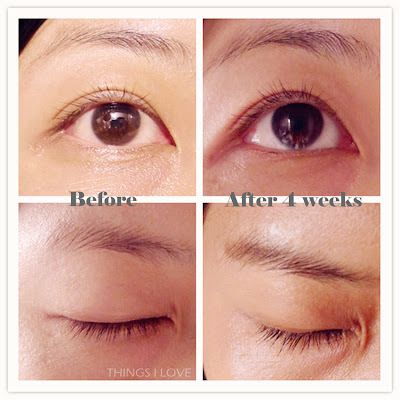 I’ve never really thought much about lash serums to be honest as I didn’t think it would work for me but when I had the opportunity to trail a lash serum recently, I decided to find out once and for all whether they actually improve lash growth. 97% natural based ingredients that is loaded with vitamins and minerals to condition lashes. It is also paraben and fragrance free so is less likely to irritate eyes. Conditions lashes and help provide strength, improving its flexibility and elasticity so that it is less prone to fallouts. Increase thickness and volume of lashes. This is a gel based product in a tube like you would find of any mascara. I like that it’s The wand is has a fine tip brush at the end like you would find in eye liners and you pretty much use it like one- applying the lash serum along the lines of the eye. I like to get as close to the lash line as possible so use the brush in a tight lining fashion which means applying the gel along my water line where the lash base is on my top and bottom lashes. The lash serum not only helps with the health of your lashes, but can also help with sparse brows as well, so I applied some on the ends of my brows hoping that it could work miracles as well. Fast forward a month later of regular use (I admit, I wasn't good with daily twice a day use as I may have forgotten during some late nights to use the serum), the verdicts are in. I definitely experience fewer lash fall outs, in fact within the first week. I’d have fewer and 1 lash fall out in a week when I normally have one a day. I haven’t notice much volume or thickening of my lashes but I would dare say that due to the fewer fallouts, I've got more lashes on my eyes than before I've started out as the serum promotes hair growth. This appears to be the case with the sparse ends of my brows as well which is now slightly more filled than before (it is still pretty sparse). I’ve also noticed that my lashes were slightly longer as well. This was most noticeable for my bottom lashes which I barely have any of that are visible and now, I have some very fine lashes growing on my lower lash line. In summary, I’m quietly very pleased with the results. They are not dramatic and I certainly still need the help of a coat or two of mascara, but now, I can create a more doll eye look with mascara as there are more lashes for me to coat products with. If you’re looking for ways to naturally enhancing your lashes, do give lash serums a try. 1000 Hours Eyelash Enhancing Serum RRP A$39.99 at selected Price Attack stores and online at The Beauty Office.